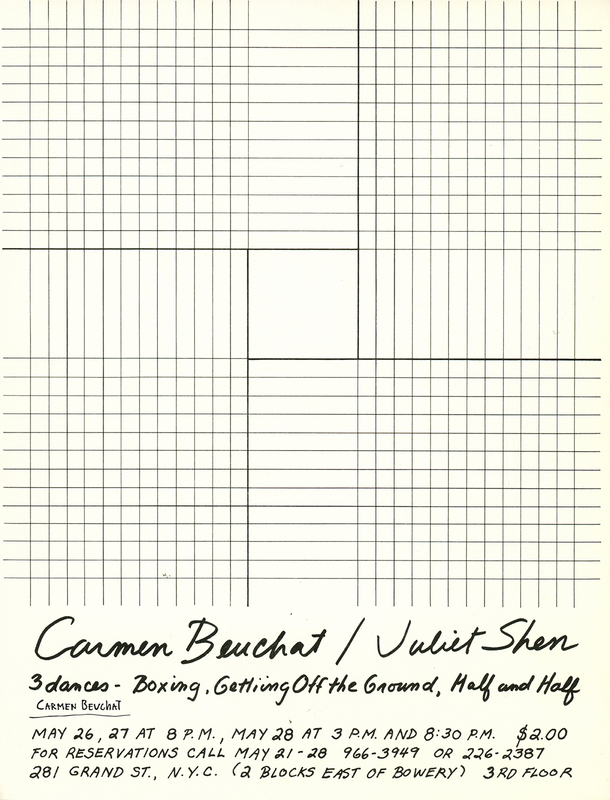 Poster of three dance pieces by Carmen Beuchat and Juliet Shen: “Boxing”, “Getting Off the Ground” and “Half and Half”. Presented at 28 Grand Street, New York, United States. Physical Description: Poster 21,5 x 28 cm.